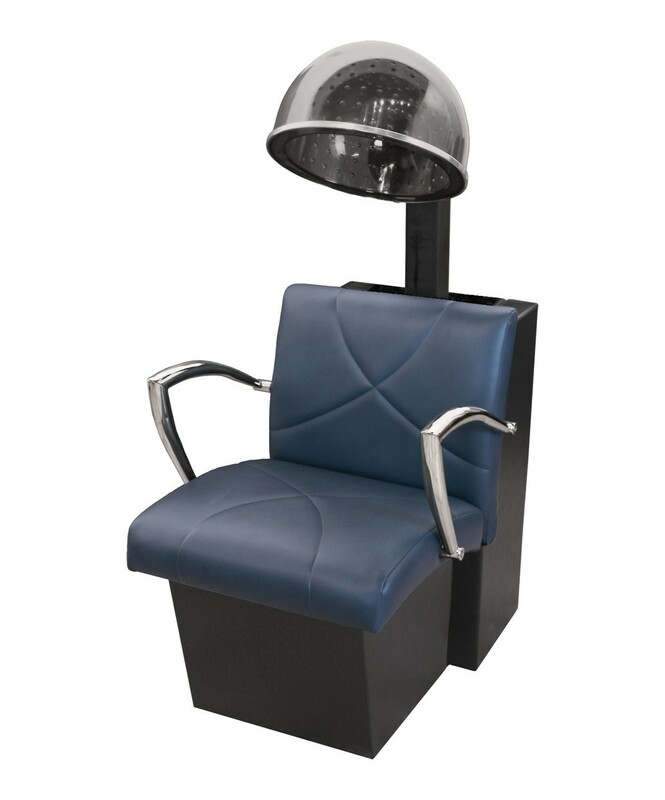 The Callie Dryer Chair by Collins is made 100% in the U.S.A. and offers the highest level or quality and durability that you can find in the salon equipment industry. The square cushions, angled arms, and complimentary upholstery pattern makes the new Callie Chair a standout! The chair is available 150 Vinyl Upholstery Colors, giving you the opportunity to customize to your liking. The Callie Dryer Chair is quite versatile in that it can accommodate most all salon dryers and it can also be equipped with Collins’ SolAir Dryer with optional ionic technology (Dryer Sold Separately). 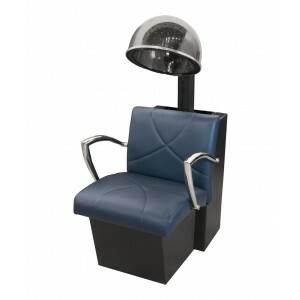 We also have the Callie Styling Chair to add design continuity ability to your salon! Some assembly required. Electric should be available.